Catholics of the older generation often tell me that at the time of the introduction of the reformed liturgy, it was frequently justified as being necessary for 'the missions'. This paper points to a number of difficulties with the idea that the reformed liturgy is particularly suited to Africa. [O]bviously, the Novus Ordo is bound to be more suited to the cultural conditions of Africa... right? What the Church needs, in fact, is a form of worship which is clearly not pagan, but which still answers the spiritual needs of people who feel the pull of paganism. 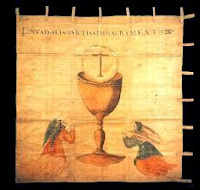 A liturgy which creates a sense of the sacred, of entering into the mysterium tremendum. What can too easily happen is just the opposite: a 'banal on-the-spot-product' (as Pope Benedict described it) with pagan ceremonies inserted into it at intervals, as we have all seen with Papal liturgies. 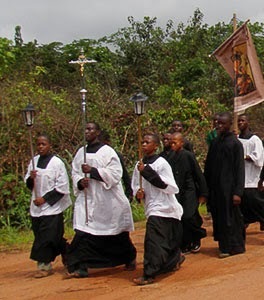 African Catholics could be forgiven for thinking, in a liturgy like that, that it is the pagan stuff which is powerful, which connects with the transcendant, with the spirit world, and not the Christian stuff. That, obviously, is a disaster, even leaving aside the whole question of liturgical abuses. What I would like to emphasise finally is that, however narrow-minded some of the missionary priests of old might have been (and by no means all of them were narrow-minded), having a totally Catholic but spiritually impressive liturgy like the Traditional Mass can today give priests and people the confidence to incorporate African customs into the life of the Church, without exposing themselves to the polemics of the Evangelicals or to any kind of syncretism. It is a great sadness that Africans should feel they have the abandon their indiginous names, music, or art, in order to become Christian: this is something Pope Paul VI spoke firmly against in 1967: 'an African man, when initiated into the Christian religion, is by no means forced to repudiate himself'. Cultural self-repudiation has never been the Church's demand of converts. The Traditional Mass is not part of the problem with inculturation, but part of the solution. The Una Voce Position Paper (first referenced above) is actually the much more substantial article of the two, so please don't neglect to read it, if the subject interests you. 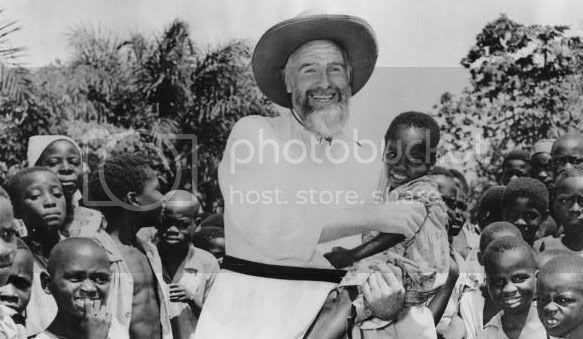 One recalls the massive success in Africa of the Superior General of the Holy Ghost Fathers, Archbishop Marcel Lefebvre, from 1932 until he ran afoul of Rome after Vatican II. In 1948 he was appointed by Pope Pius XII as his Apostolic Delegate of Dakar, he oversaw the Catholic Church in 18 African countries. By 1959, his territory of apostolic work had expanded to 12 archdioceses, 36 dioceses, and 13 Italian Apostolic Prefectures including Morrocco, Algeria, Mauritania, Mali, Central African Republic, Senegal, Guinea, The Gambia, Cote d'Ivorie, Benin, Togo, Niger, Chad, Cameroon, Gabon, Congo, Madagascar, Le Reunion. One can find more on his testimony of the Catholic Faith's effect in Africa here [disclaimer: Rules 7-9]; and all of this took place well before the advent of the Novus Ordo in 1970. "Francis: Facts + Fears Moving Forward"
"Nightcrawler: my favorite Catholic super hero"
Keep the "Roman" in Catholic? Tridentine Community News - "Sanctifying Time"
"The Elephant in the Higher Education Room"
Have these questions been answered? "O, now I get it ..."